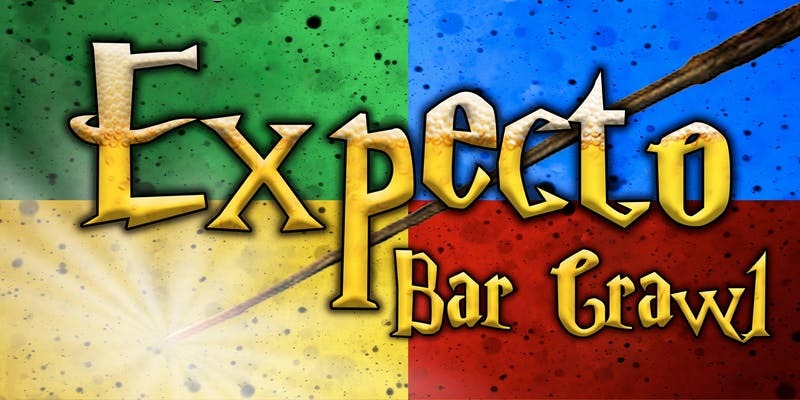 Wizards and Witches grab your robes and wands and transport yourself to Buffalo NY because Expecto Bar Crawl will commence on April 6th for our annual Expecto Bar Crawl!!! We are combining Wizardry and booze for an utterly magical mixture that you won’t want to miss! ⚡️Exclusive beer stein souvenir cup. ⚡️Themed drink specials during the crawl. ⚡️No cover at participating locations. Online ticket sales will end the day before the event, day-of tickets will be available at the registration location for $35.00 cash only. A limited number of tickets are available to ensure bars won’t be over crowded. Must be 21+ to participate. Don’t drink and drive, arrange a designated driver, take public transportation or call a cab/Uber/Lift. Q: Do we have to dress up to participate in the bar crawl? A: No. Costumes are not required but we do encourage dressing up to enhance the experience. If you are dressing up a lanyard is required. Q: Can I join the bar crawl at any time? A: Guest check-in and bar crawl lanyards will only be handed out during the designated time. (Lanyards are required if you are dressing up to gain bar entry) If you are unable to pickup your lanyard during the designated time you may have a friend pick it up for you as long as they have your un-scanned ticket. Q: If for any reason I can’t make it to the event, can I get a refund? A: No. All sales are final, rain or shine event. You can however transfer your ticket to another person by logging onto your Eventbrite and Editing your ticket. “Multiple sclerosis is a complex disease of the central nervous system (brain, spinal cord, and optic nerves) characterized by relapses (neurological symptoms which appear rapidly but often improve over weeks or months), remissions and often progression of disability over time. MS is currently not a curable disease.